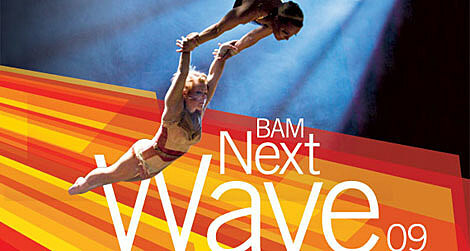 BAM has announced the schedule for the Next Wave Festival 2009, a series of fourteen new music, theater and dance pieces that’ll run from September 15th to December 19th. The lineup includes a number of awesome-looking BAM commissions and premieres. 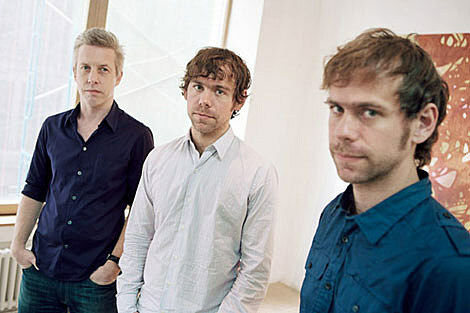 Bryce Dessner & Aaron Dessner of The National (and Dark Was the Night fame) and Matthew Ritchie have put together a piece called The Long Count, to feature Kim and Kelley Deal (The Breeders), Shara Worden (My Brightest Diamond, Decemberists) and Matt Berninger (The National) on vocals (Oct 28th-31st). The program features a concert staging of the Philip Glass opera Kepler (Nov 18th, 20th, 21st). And, maybe in time for the first snow (…) a performance by DJ Spooky and the International Contemporary Ensemble (ICE) of Terra Nova: Sinfonia Antarctica, a piece “based around DJ Spooky’s sound recordings in the Antarctic that explore the acoustic qualities of ice” (Dec 2, 4 & 5). Most of the programs above will have an “Artist Talk” companion program, free to those with tickets to the event. There’s a couple ways to get tickets to the series. Friends of BAM will get the first stab at subscription packages, which let you pick a combo of shows to attend, on Monday, June 15th. Subscriptions for the general public go on sale Monday, June 22nd. Single ticket sales for Next Wave Festival starts Tuesday, September 8th (Aug 31st for Friends of BAM).